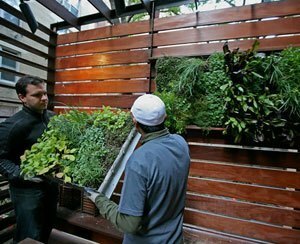 Here is an article on The Dirt about the Edible Wall System. I like it! Pretty and functional! It probably smells good too!! That&#x27;s pretty cool - I love the green &#x27;art&#x27; for lack of a better term by the check out at the Wholefoods in downtown Austin. I can&#x27;t imagine a wall of the edible plants though - spinach? lettuce? Neat idea. Have you done any plantings like this?